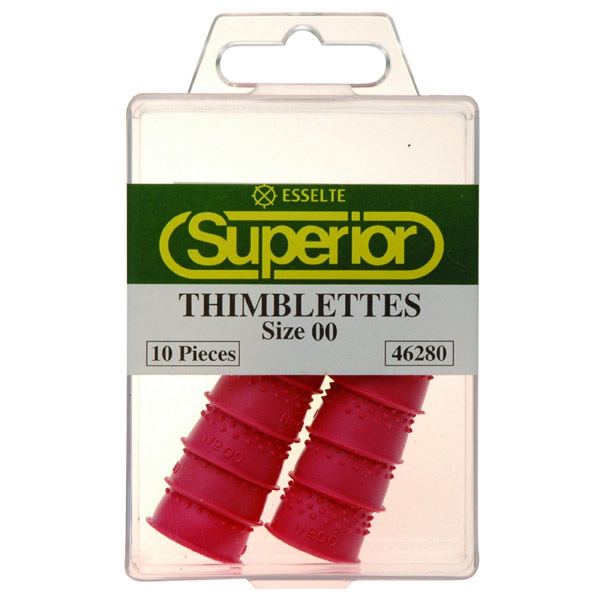 Thimblettes (also known as rubber finger, rubber thimbles and finger cones) are soft thimbles, made predominately of rubber, used primarily for leafing through or counting documents, bank notes, tickets or forms. 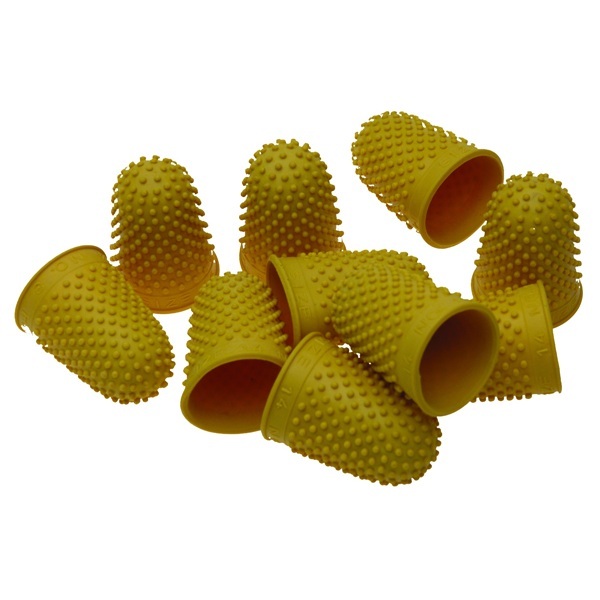 They also protect against paper cuts as a secondary function. The surface is dimpled with the dimples inverted to provide better grip. 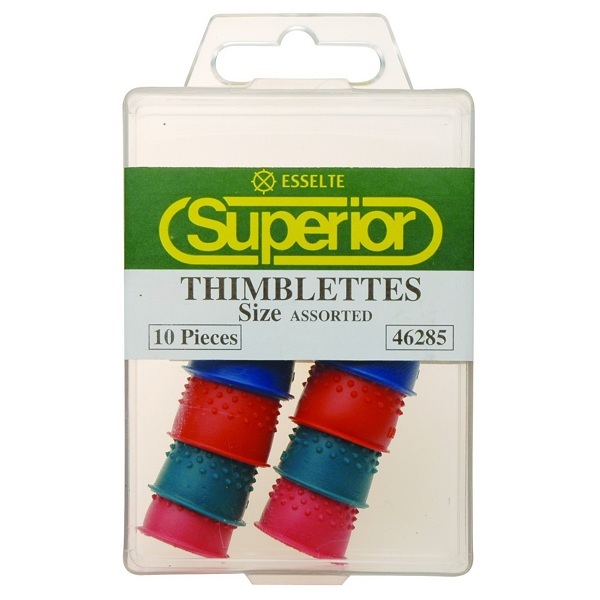 Thimblettes are colour coded and sized from 00 through to 3 to fit all fingers. Make light work of separating paper and counting money. 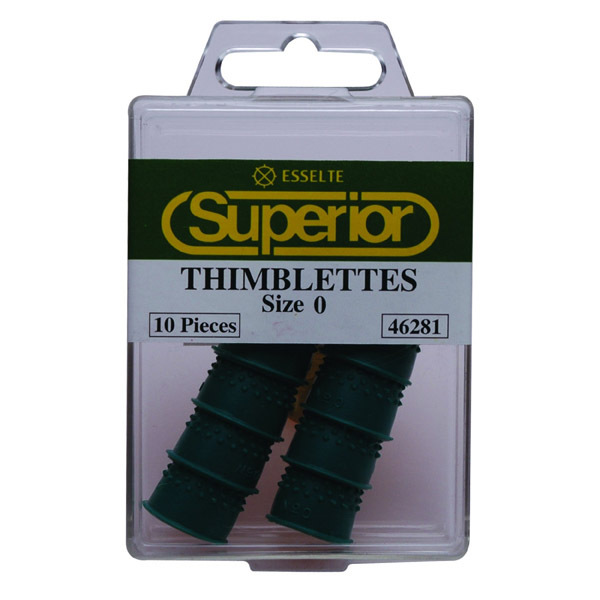 Helps you count faster, more accurately. 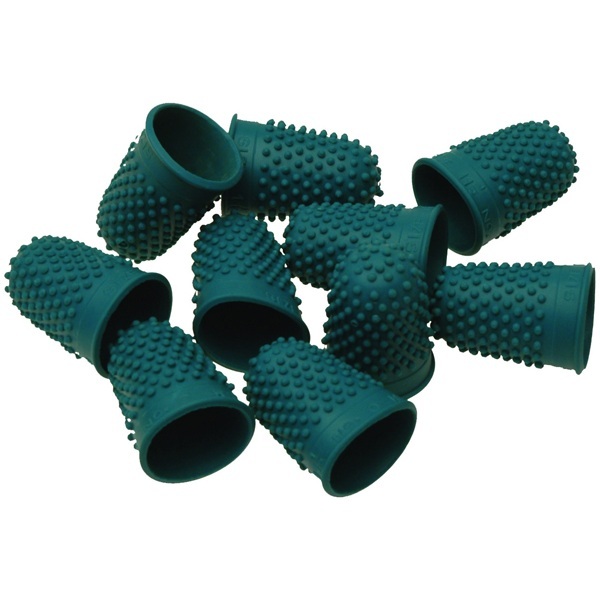 Protect finger soreness and paper cuts. 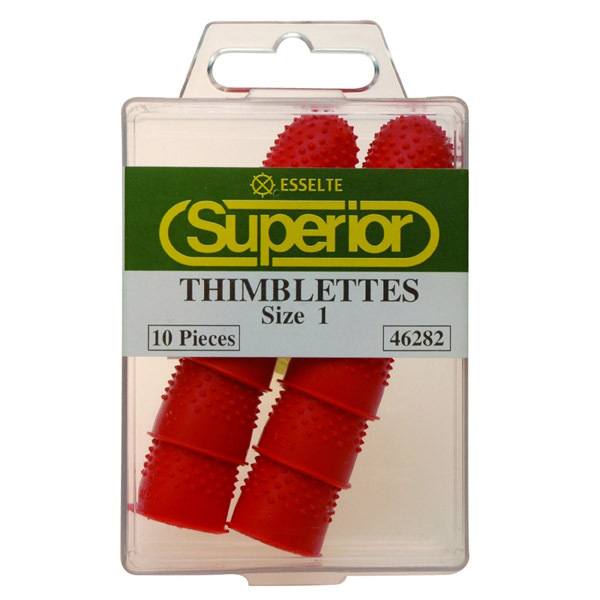 Made from high quality, pliable rubber to ensure trouble-free use time after time.